With Middle-Earth: Shadow of War coming with loot boxes which make the end-game grinding less imposing, many are worried that other developers may follow Monolith in adding them to their games. 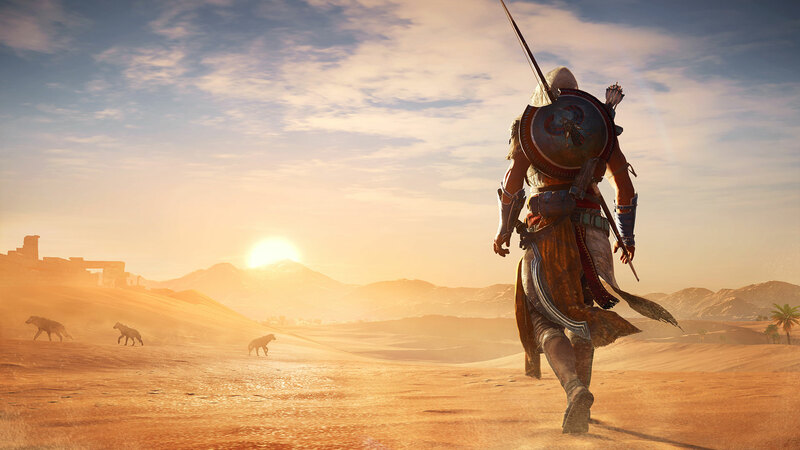 The next big open world game releasing next week, Assassin’s Creed Origins, will feature loot boxes in some capacity, but it seems like they can only be purchased with in-game money. In a recent livestream featuring members of the Assassin’s Creed Origins development team, it’s been confirmed that loot boxes can only be purchased with in-game money. Sadly, it’s not been specified if in-game money can be purchased with real money, but if Assassin’s Creed Origins is anything like past entries in the series, it shouldn’t be too difficult to get plenty of in-game money while simply playing the game. Earlier this month, Ubisoft revealed some additional details on the PC release of Assassin’s Creed Origins. The PC version will support multi-monitor setups and Ultrawide (21:9) resolutions, as well as an FOV (Field of View) slider. Multi-GPU and DX12 support won’t be in at launch, and no mention of them has been made. You can check out the system requirements below. Assassin’s Creed Origins launches on October 27th on PC, PlayStation 4 and Xbox One You can learn more about the game by checking out our preview from last month.